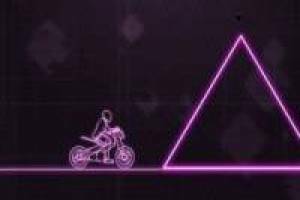 In this game you have the opportunity to play with neon motorcycles, inspired by the famous Google Play Rider video game. 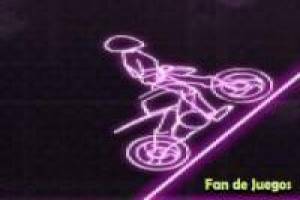 You have to get to the end of the screen without destroying the bike. Try to reach the end of the screen in the shortest time possible without crashing so you can advance to another level. This fun game can be made from any device: Smartphone, tablet and PC. 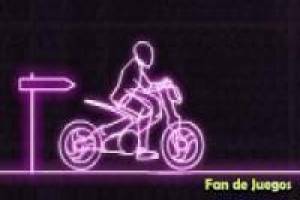 Dare and click on this game, drive the neon motorbike challenging all obstacles. 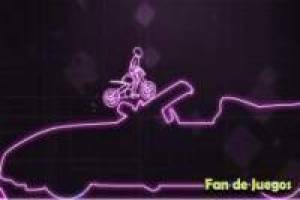 Enjoy the game Neon motorbike, it's free, it's one of our motorcycles games we've selected.